Defining CDG at the international level! A clear disease definition is essential for diagnostics and therapy development. With the increasing number of CDGs there is a need to clarity and establish a defined classification and nomenclature for the disease. This is a very pressing discussion topic because a clear disease definition and classification is fundamental for therapy development and approval. The main speaker of the 1st CDG Satellite Meeting will be Dr. Carlos Ferreira, M.D. He is the leading author of the publication "A proposed nosology for inborn errors of metabolism." His presentation - State of the art for CDG nomenclature - will be followed by a Discussion Session with all the Professionals present. Download Dr. Carlos Ferreira biography HERE. Dr. Carlos R. Ferreira, M.D. HOWEVER, to obtain a full and valid registration you MUST send proof of payment of the registration fee and meals 15 days after your registration, to the organizing committee at worldcdgconference2019@gmail.com. The registration fee is a donation that will support the meeting, the organization, logistics for the event, The Registration fee includes Meeting participation, information material, networking sessions and coffee break. 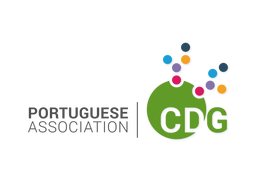 This conference is being organized in collaboration with the European Reference Network for Rare Metabolic Diseases - MetabERN (know more HERE)? The 1st CDG Satellite Meeting will be held in classroom nº6 of the Faculty of Psychology of the University of Lisbon. For more information consult the Conference Booklet (available soon). On your registration form there will be a section for you to book your meals (afternoon coffee break and dinner). Accommodation will be booked by the participants directly with the hotels. Information regarding surrounding hotels and AirB&Bs is available on the Conference Booklet.